Our National Coordinator, Prof. Dakota Rudesill, and Prof. Abbe Gluck, a fellow Steering Committee member, have a post at the Balkinization blog about the initiative. 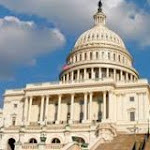 Senators Mike Lee (R-UT) and Patrick Leahy (D-VT) introduced the Daniel Webster Congressional Clerkship Act, as S. 3499. They are joined by Senators John Hoeven (R-ND) and Ted Cruz (R-TX) as original cosponsors. We commend their leadership and are delighted to work with them to see this important, non-controversial, bipartisan legislation enacted during the lame duck session! The Hill's Congress Blog has posted Prof. Dakota Rudesill's op-ed pointing out that the discussion about diversity in the professional background of judicial nominees does not include the enormous relative shortfall in legislative experience on the bench. This legislative experience gap is deeper still in other quarters of the legal community's most influential ranks. Cycling the profession's future leaders through the congressional clerkship program the Hoeven-Leahy bill, S. 1458, would create is an important first step toward a solution. With Congress showing more interest in legislating, students at Ohio State's Moritz College of Law are putting their shoulders to the wheel to pass S. 1458 in concert with other Coalition members. Read about it in Sidebar. Senators John Hoeven (R-ND) and Pat Leahy (D-VT) on Aug. 1, 2013, introduced the bill as S. 1458. We are honored to have such influential champions in the Senate: the top Republican on the appropriations subcommittee that funds the Legislative Branch, and the Chairman of the Senate Judiciary Committee. Sign the National Petition if you have not already and Write to Congress urging your Senator or House Member to cosponsor! The Chicago-Kent College of Law Student Bar Association passed a resolution formally supporting the Congressional Clerkship Program. Columbia University Law School Student Senate formally endorsed the Congressional Clerkship Program. Florida International University College of Law formally endorsed the Congressional Clerkship Program. The Congressional Clerkship Coalition secured a primary sponsor for the Daniel Webster Congressional Clerkship Act in the House of Representatives. The President of Quinnipiac University School of Law Student Bar Association formally endorsed the Congressional Clerkship Program. The University of Chicago Law School Law Students Association formally endorsed the Congressional Clerkship Program. The New York Times ran Professor Dakota Rudesill’s letter in response to an op-ed by John J. Farmer, Jr., Dean of Rutgers Law and former New Jersey Attorney General. Rudesill argued that legislative apprenticeships are important to improving the legal profession. See Farmer’s op-ed here (http://www.nytimes.com/2013/02/18/opinion/to-practice-law-apprentice-first.html) and Rudesill’s response here (http://www.nytimes.com/2013/02/25/opinion/starting-out-the-lawyers-apprentice.html?ref=letters&_r=0). The Congressional Clerkship Coalition secured a primary sponsor for the Daniel Webster Congressional Clerkship Act in the Senate.